I’ve been going to Westhoughton for the past few years for work, specifically to the leisure centre. However in all that time I’d never been to the town centre. So one sunny Saturday afternoon Neil and I took the journey up to Westhoughton. Getting to Westhoughton is straightforward. Take the M61, exit at junction 5 and head along the A58 towards the town centre. You can either park near the tiny retail park opposite Sainsbury’s on Cricketers Way, or as we did in the free car park on Bolton Road, around the corner from Market Street. It was a nice sunny day and the streets were deserted. Quite a few of the shops were closed too, though the Pottery Studio appeared to be busy doing a pottery party. Thankfully the two charity shops, Bolton Hospice and The Children’s Society, were open. So we had a browse, but sadly there was nothing to be found, although I was impressed by the Children’s Society’s Bond-themed window display. The architecture of the town is predominantly of the Victorian and Edwardian period and entirely in keeping with its mining heritage. The Town Hall is the grandest building in town. 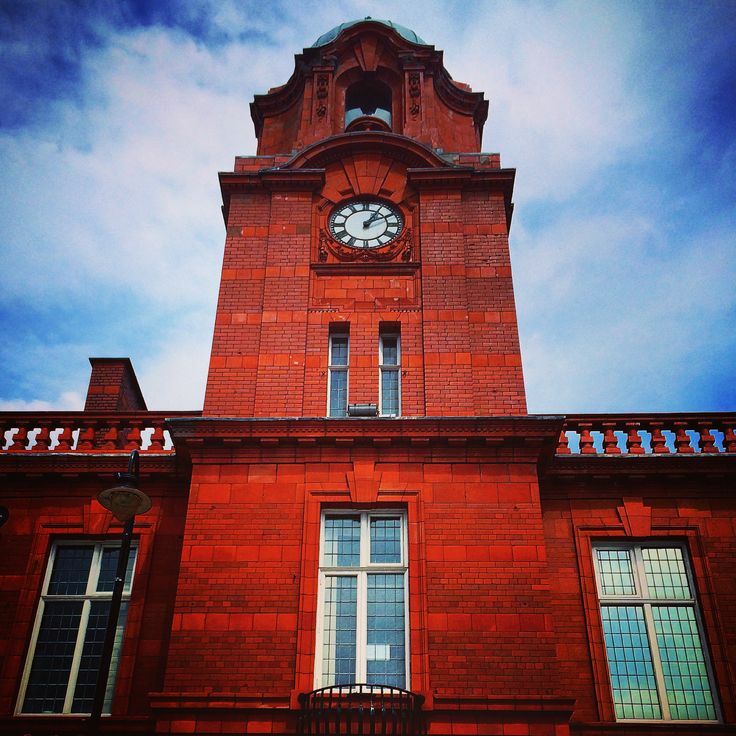 Built in 1903, it’s red brick with a clock tower overlooking the street. 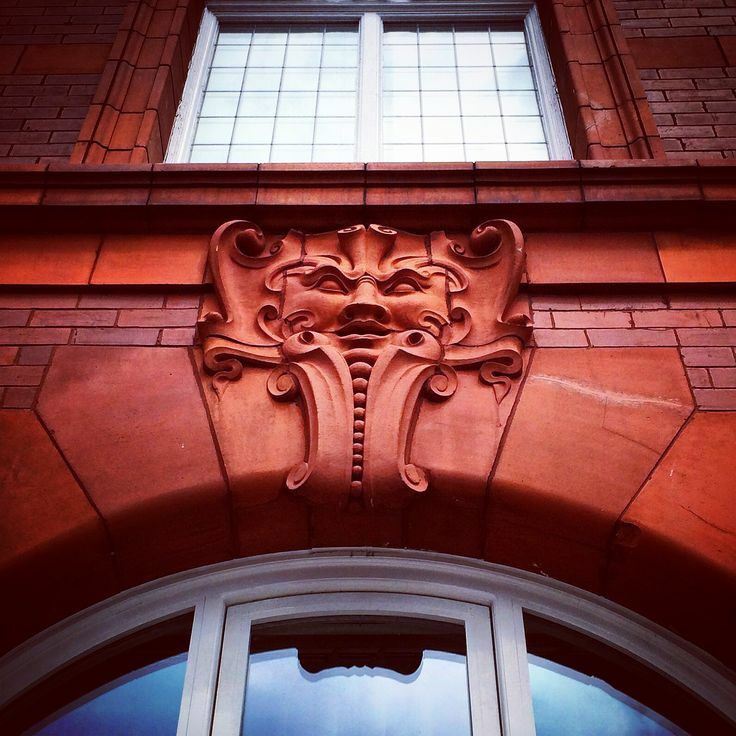 There are weird carved red faces over the windows and doors. Around the corner is the local library, which started life as a Carnegie Library. I always like to see Carnegie libraries as they did so much to educate the working classes in the 19th and 20th centuries. Interestingly they only received funding from Carnegie if there was match funding from public support and not institutional support. The idea was to ensure the libraries were for all and not a clique. Sometimes I wonder in these straightened times whether libraries should seek philanthropic funding from businesses to remain open, as that’s how many libraries started out. 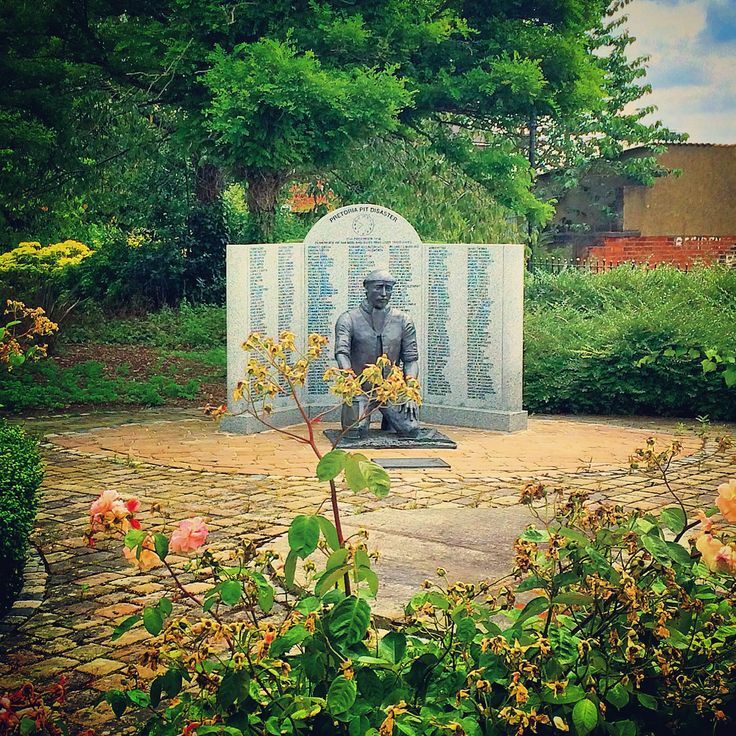 At the bottom of Market Street is the Pretoria Pit Disaster Memorial in Ditchfield Gardens. It was good to see how well maintained the memorial was kept. Westhoughton seemed to be full of pubs, many of them traditional looking Victorian pubs. Most of which were well maintained. The busiest place was more modern looking: The Robert Shaw Wetherspoon’s pub. This was probably due to the intoxicating combination of cheap beer and World Cup football. The Robert Shaw was named after the local actor who starred in films including The Sting, From Russia with Love and Jaws. 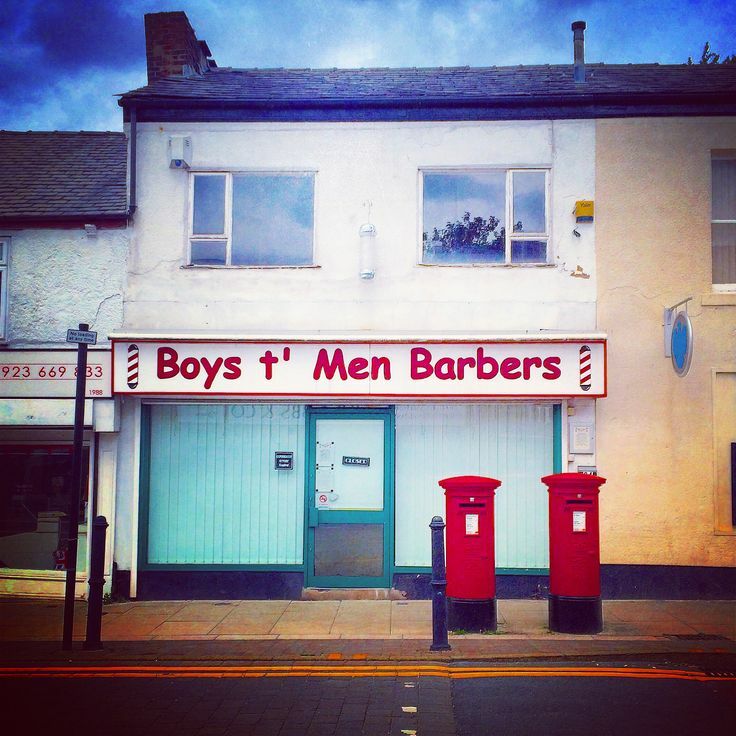 There were a few random shop names that caught my eye: “Boys T’ Men” and “Blooming Flowers” which showed the local humour. I did find it odd there was a shop called Horwich Carpets, when Horwich is a few miles up the road, but it’s actually a branch of the main shop based there. I’m always a sucker for vintage shops and we found Vibrant Vintage. The staff were very friendly in there and explained how they displayed their clothes in period order – 40s, 50s, 60s etc. They also stocked new rockabilly outfits and lots of vintage paraphernalia. Sadly they didn’t stock vinyl records as they didn’t really know much about them. Once they made a table out of a stock of old records only to be told one of the records they used was worth more than the table itself. Finally we visited Westhougton’s covered market and this place is definitely the heart of the community. Locals were catching up on the gossip and some stallholders were indulging in a spot of knitting as it was a slow day. There were quite a few craft stalls to catch my eye. As it was a hot day, Neil and I were hoping to find some ice cream. 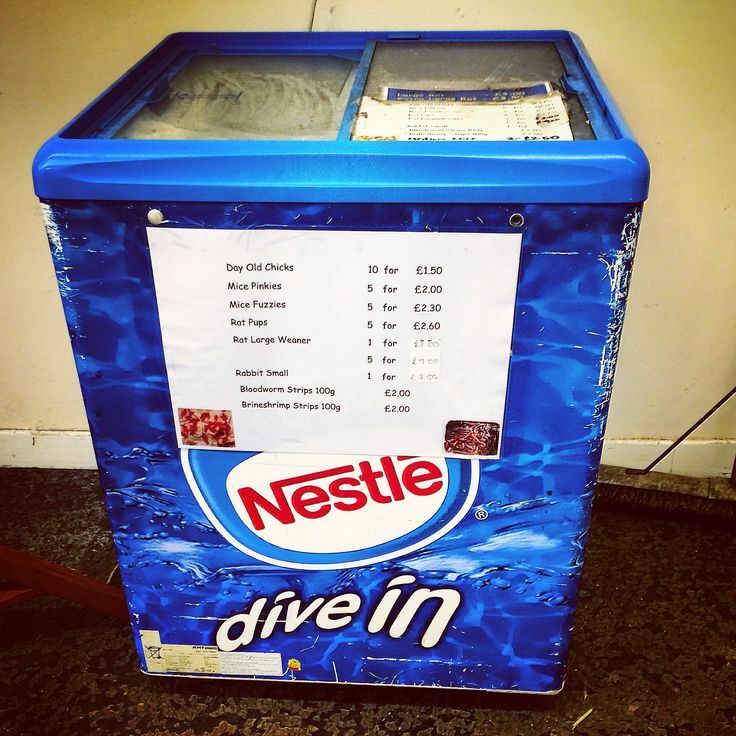 So when we saw a Nestle ice cream freezer in the corner of the market we wandered over to have a look. However what they were stocking were more for snakes than humans - ten day old chicks for £1.50, five mice fuzzies for £2.30 and one small rabbit for £7.00. Quite frankly the freezer made me feel quite queasy. Westhoughton is a rather unassuming place tucked away between Bolton and Wigan. I do think the Sainsbury’s and retail park on Cricketers Way draws people away from the town centre on Market Street. However from what I found, the people are friendly and there is a sense of community especially in the market. In part I already knew that from doing some work at Westhoughton Leisure Centre, but it was nice to see that in action in the town. Whilst Westhoughton is not exactly a tourist destination, it’s a solid working class community that’s proud of its heritage.